Can't manage your inbox? Want to deal with attachments more efficiently? Revive your email account with these quick Thunderbird tips. An inbox with only one main folder is a definite recipe for disaster. Not only will you receive spam mixed up with messages from trusted contacts, you'll end up with too much mail to deal with all at once. To get round this, create new folders (usually via File > New Folder) and then set up rules or filters for each one. Hard drive crashes are always possible, but your email can be saved in a flash. In Thunderbird, just copy your profile (C:\Program Files\Mozilla Thunderbird\Defaults\Profile) to another drive to back up your emails. To restore backups, copy each folder you archived to the original location. To create a new template and use it as the basis for future emails, make a new message, add your text and formatting and select File > Save As > Template. To use this example as the basis for a new mail message, select the Templates folder and then double-click the one you just saved. Alongside filters, tags are the best route to a tidy inbox. In Thunderbird, the default ones are 1) Important (red), 2) Work (orange), 3) Personal (green), 4) To Do (blue) and 5) Later (purple), but you can add your own. Highlight a message and press a number from 1 to 5. Filter rules can also be used to apply tags. To compact all folders in Thunderbird manually, click the account on the left and then select File > Compact Folders. If your mailbox is too large then try working with one folder at a time by right-clicking on one and choosing "Compact this folder ". The Auto Zip Attachments extension enables you to compress attachments automatically prior to sending, manually compress with the Auto Zip button, add a comment and password-protect zips. Using a personal email certificate such as the free Thawte option, you can digitally sign your emails so that recipients can see they're really from you. You can also encrypt your messages so that only the intended recipients can view them, offering you real security. Most email clients support IMAP and POP to access messages from the server. If you're using a popular webmail client or a personal domain, you should be able to use IMAP, which is good for multiple machine use because it automatically synchronises. Handily, it can also be organised server-side. Lightning is Thunderbird's personal organiser, and can be bolted on to the mail client to act as a handy calendar. It even has event filters. This add-on displays birthdays from the address book as events in Lightning. Now you'll never forget a friend 's special day again. To make Thunderbird more like Gmail, turn on the threaded view. Go to Tools > Options > Advanced > General and click Config Editor. Now search for the preference "mailnews.thread_pane_ column _unthreads". Double-click to change the value to "false". Another Gmail-esque extension is GMailUI. The Expression search type enables you to enter multiple Gmail-like operators into the field, such as " from:amazon subject:order". Install the Nostalgy extension to copy or save a message. You can also use it to switch to any email folder quickly with the [C], [S] and [G] keys. 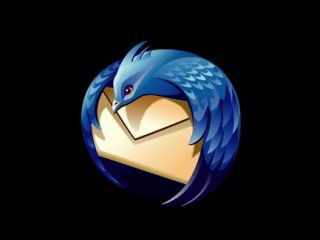 The Mail Redirect add-on is ideal for exporting Thunderbird messages to another address without having to forward them. It preserves all the message headers and bounces them to a new destination.